Roadworks, Rural/Local, Arterial and Industrial. Water, Sewage and Storm Drainage Systems. Stormwater Treatment and Detention Facilities. Sediment and Water Management Control. Computer Modeling and Analyses of Water Distribution Systems, Sewer and Storm Drain Collection Systems. 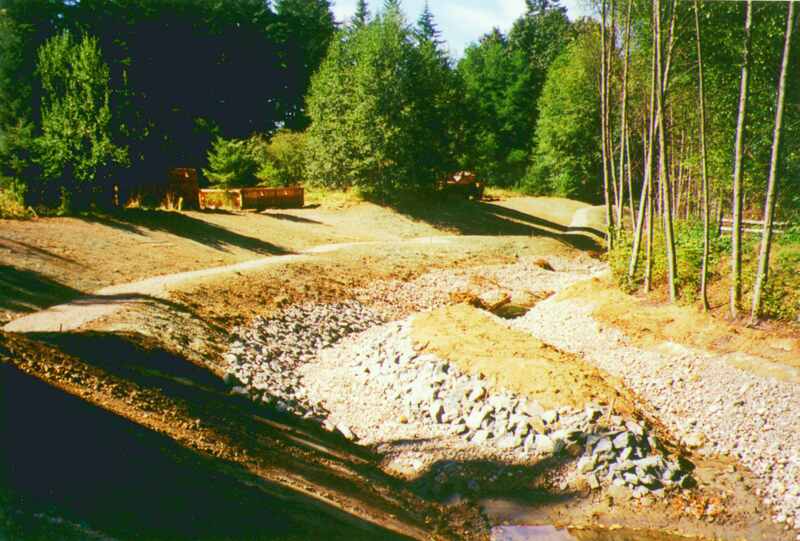 Creek Enhancement, design and management. A newly constructed spawning channel for Salmon. Located on Kingfisher Creek within the historic Haig-Brown Provincial Park. Our Firm was responsible for its design as well as its construction inspection.